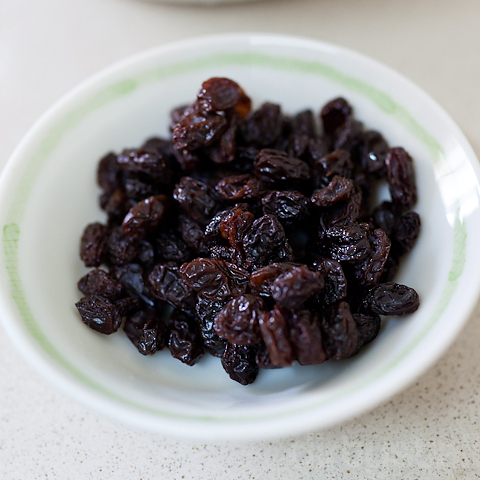 Raisins are probably something I’ve never cooked before, only eaten them straight like that. But I notice most tagines do use them, probably to sweeten it out the eventual saltiness. Normally apricots and dates are also added to the tagine but I left them out for this dish. Gotta brown the lamb for flavour before setting it aside. 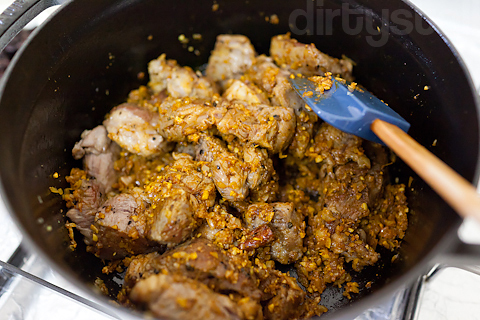 After searing all the lamb cuts, I start to toast the spices – a mix of turmeric, paprika, cinnamon, ginger, black pepper, and a pinch of saffron – with chopped garlic and onions. 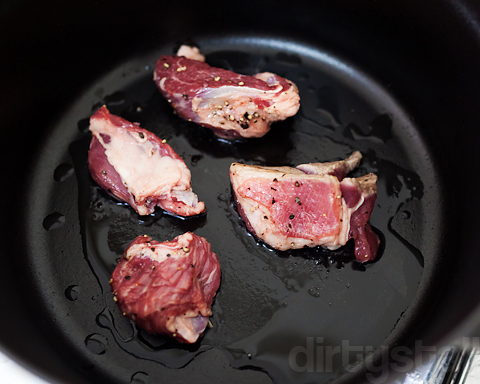 When the aroma grows strong, it’s time to add back in the seared lamb cuts and mix. Then in goes some chicken stock (although lamb stock would have been more ideal), the raisins and diced tomatoes. Bring to the boil then put in the oven for a couple of hours at 150°C. 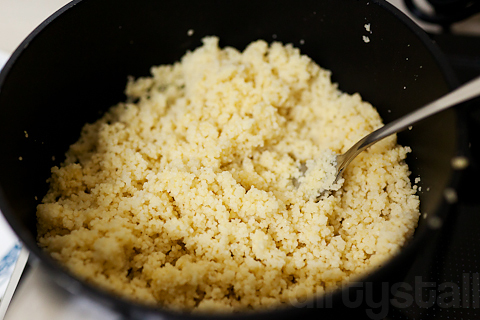 While that was going on, I went to prepare the couscous. Fluffing them up with a fork. 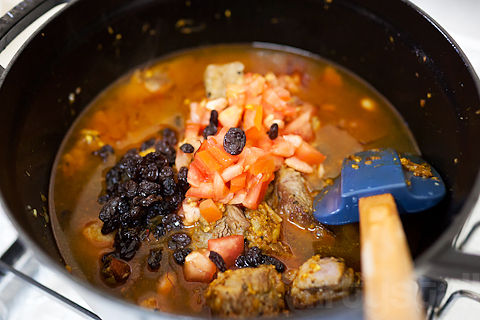 Checking back on the lamb tagine – looking good! 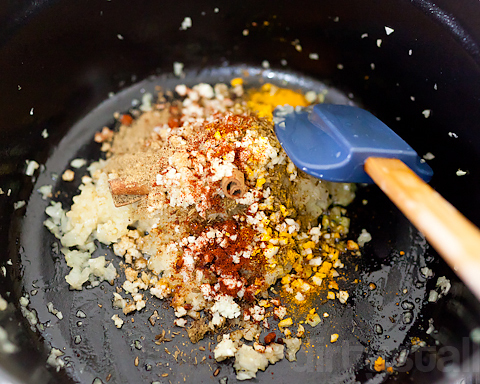 Scoop a generous ladle of lamb tagine over a bowl of buttered couscous and serve! 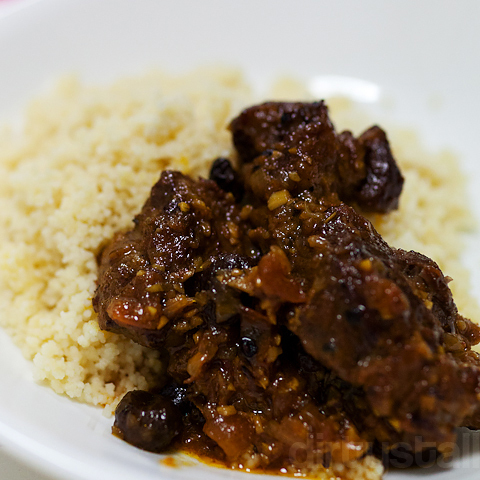 3 Responses to "Moroccan Lamb Tagine"
I have a question, sometimes there is this weird smell in lamb meat. 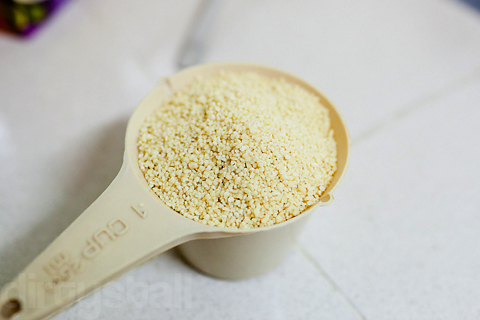 Is there anyway in the cooking process to reduce the smell? 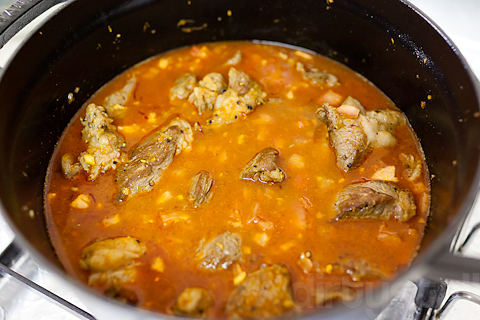 I cooked a lamb tagine very recently and will be posting on it soon. It differs in quite a few ways from yours (which looks delicious btw). The difference is a good thing. Also btw, Foodie FC, the way to reduce the smell is to buy fresh meat. I know that odour. 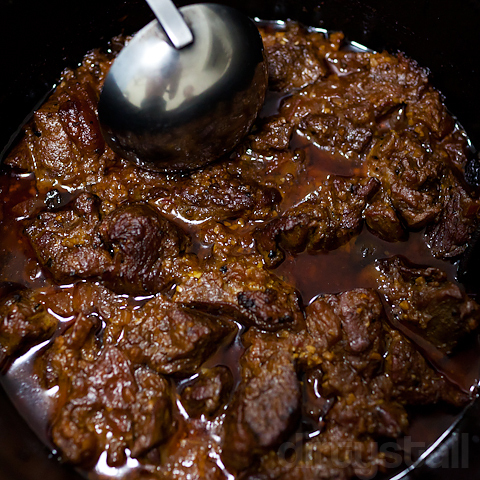 It is not nice, There should be no nasty smell with cooking good quality lamb. Yup mine is probably quite a watered-dwn version of a real lamb tagine. 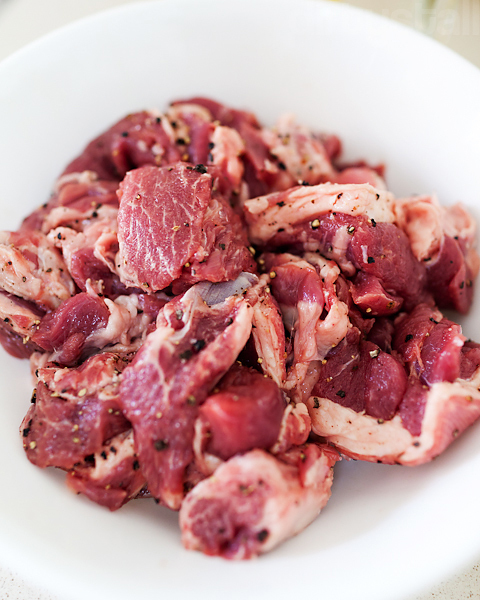 FoodieFC, Conor is right, get fresh and good quality lamb, and also make sure it’s not like mutton which does have a strong gamey smell/taste.